We love BRIO in the Pondering Parenthood house. M had a BRIO rattle toy that she played with as a baby, and still does today, so we asked the grandparents for a BRIO train set for Christmas. M loves it, but it’s age 3+, so at 19 months she finds it tricky to use it exactly as intended, as the parts are a bit fiddly for her. 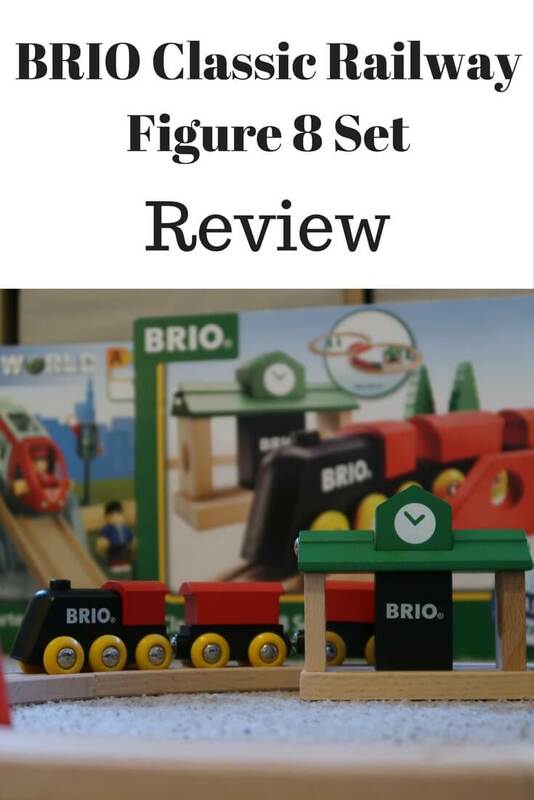 So when BRIO got in touch and asked us to review their 2+ BRIO Classic Railway Figure 8 Set, we jumped at the chance. 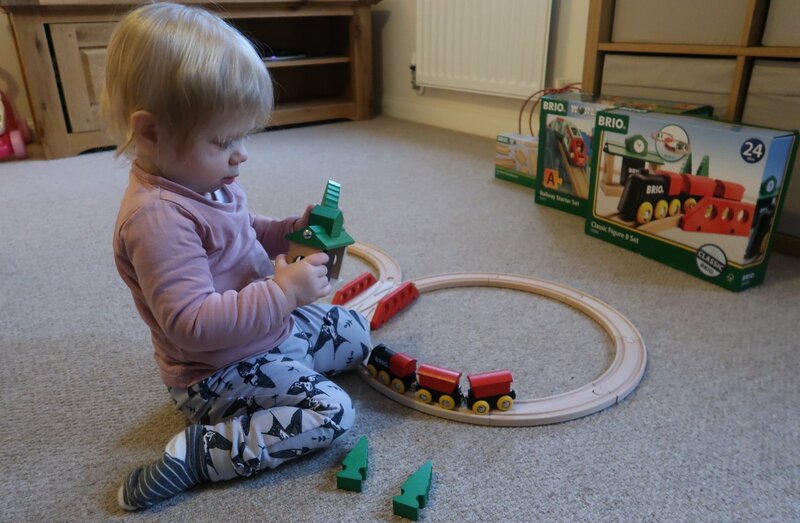 The BRIO Classic Railway Figure 8 Set is far more suitable for M’s age and stage as it’s easier for her to hold the train and other pieces (there’s a train station, three trees and train with two carriages included). 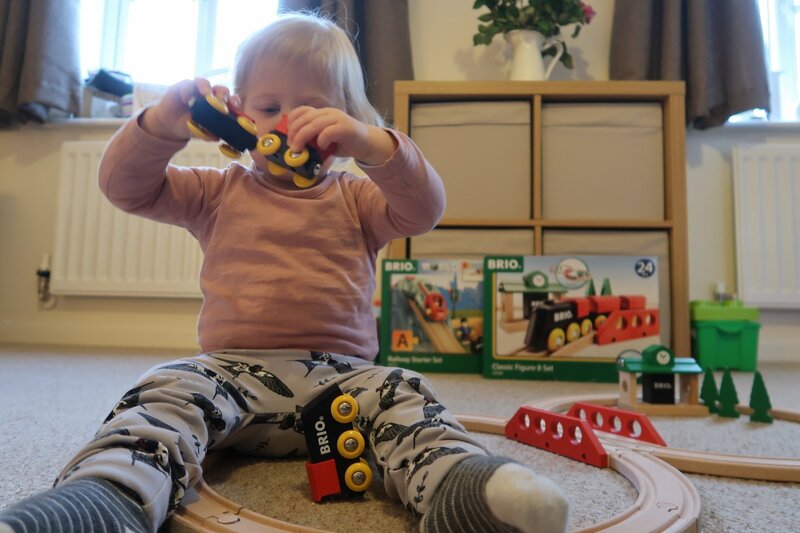 She has even started to manoeuvre the train around the track by herself – although she still prefers to pull it off and examine the carriages, as you can see! The other great thing about the BRIO Classic Railway Figure 8 Set is that it’s fully compatible with all of our other BRIO (some of which you can see in the background in the above photograph). This means that we can go off-plan and make our own, massive tracks that fill the living room floor. Although I think in this instance it may be more of a toy for me and hubby, than for M! That’s the lovely thing about BRIO; with BRIO World you can build your collection and create your own little village, city or farm (or all three combined! ), and the collections grow with your child. I love the chunky pieces and bright colours of this set. I also found myself oohing and aahing at the bridge intersection, which causes the train to take the figure of eight route as you push it. Very clever! Even though M can’t quite push the train around the track herself, she loves watching me do it. She also enjoys arranging the pieces and creating her own little scenes. She hands them to me and points at where she wants them! Like the other BRIO we own, the BRIO Classic Railway Figure 8 Set is great quality and beautifully made. I know that it will continue to be played with for years to come. 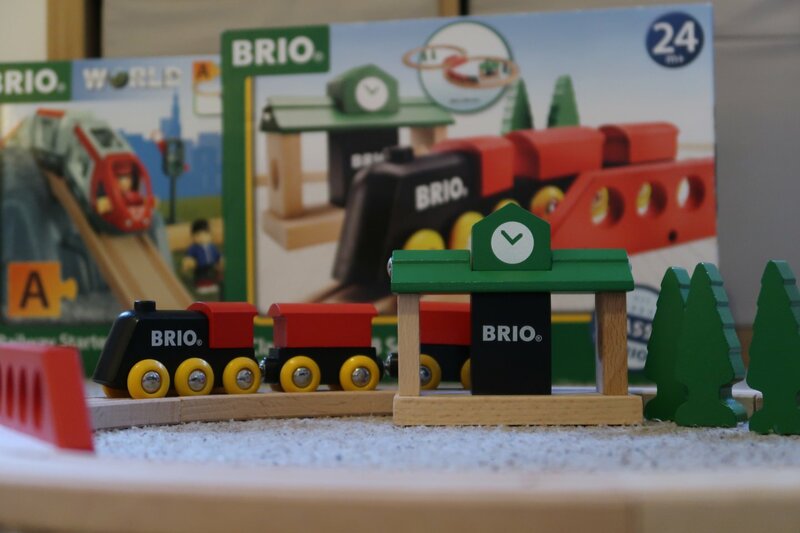 At RRP £37.99, it’s not the cheapest, but I do think BRIO provides really good value for money. I’ve already got my eye on a farm set and battery powered locomotive to add to our collection! Disclosure: I was sent this BRIO Classic Railway Figure 8 Set in order to provide this honest review.